Databox, a software company that helps other companies monitor, report, and improve their business performance, is looking for a freelance digital content writer to work with the marketing team to help write, edit, and publish their series of original reports. Stio® is hiring a contract copywriter to work closely with the brand team to write product descriptions, product positioning statements and marketing copy for website, emails, catalogs, ads and more. Candidate must have excellent technical and creative writing skills and attention to detail. Are you an experienced writer and editor with a belief that climate change is the story of our lifetime? Are you hungry to explore solutions to the perils confronting this here planet? Do you have an irreverent wit, a love of grammar, and a way with words? If so, Grist wants you. Grist, a leading green news organization, is seeking a special projects writer to work with their founder and a small team to help develop a new program focused on solutions and the people behind them. BIDaWIZ is looking to hire an experienced and energized writer on a contract basis to assist with the creation of tax and accounting articles to be submitted to their blog and weekly newsletter. A qualified candidate has demonstrated success writing for mainstream tax and accounting publications. CEA is looking for a freelance social content creator who is responsible for content creation, distribution, and promotion for both client and internal social media accounts. 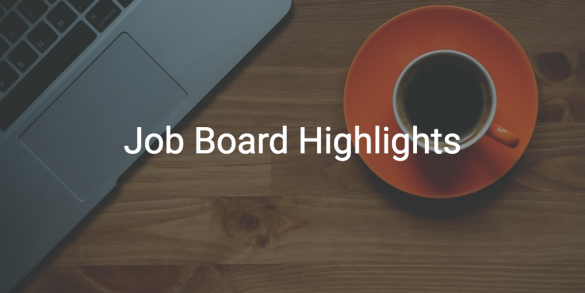 This role actively assists with blogging, social bookmarking, commenting, and posting, and community development. If you’re a creative mind who is constantly online and stays up with the latest social trends, you might be a perfect fit!